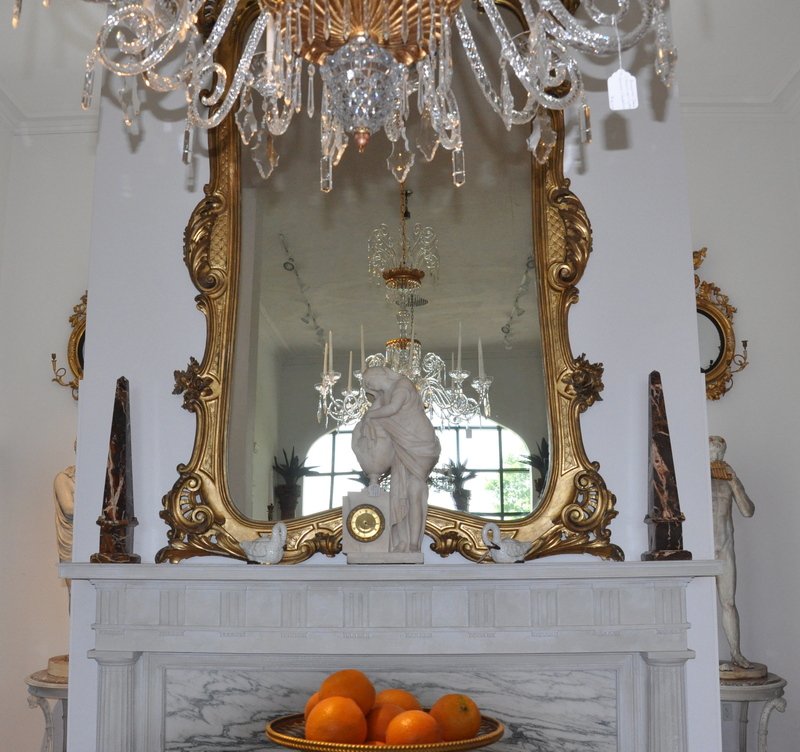 Situated in the heart of Massachusetts’ “antique capital,” Perim Lang Antiques has become the foremost provider of fine dining rooms, period furniture, period lighting, and accessories suited to grace the finest homes. Antiques serve many purposes and can be considered “comfort food” for the soul. They provide a personal connection to the past as well as a link to our modern-day pride of place when we use antiques to personalize our homes. For interiors, antiques often honor the character of the owner more than newly made pieces. New furnishings may speak to the overall design, space, color and use, but antiques can speak to these elements while also providing a connection to the past in ways that no new object or administered patina possibly could. 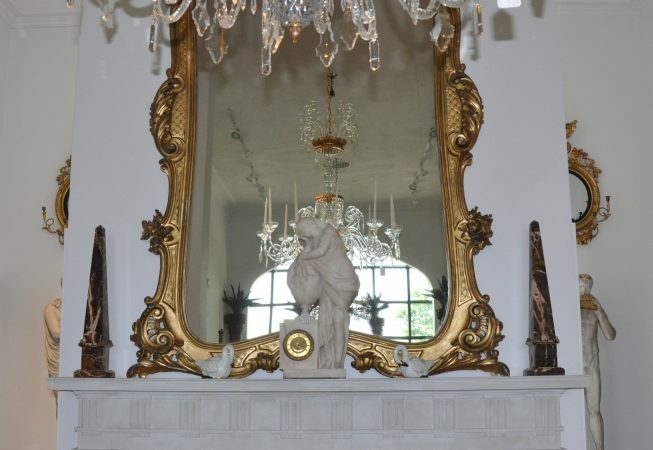 A modern mirror may possess a certain style of frame and reflective nature, but an antique mirror carries the craftsmanship of the past and the haunting knowledge of the people who once stood in front of it, touched it, owned it. While the ownership history of many antiques is lost to time, the study of any antique allows us, at the very least, to experience the pleasure of imagining its storied past. Antiques are as important now as they have ever been, maybe even more so in these turbulent times. Influenced somewhat by investment needs, we are seeing world auction prices for important pieces of every period, including Twentieth Century Design, reach some of the highest records to date. As collectors leave us and pass the guardianship of their treasures on to others, once in a lifetime opportunities present themselves to antique dealers, retailers, designers, museums and academics. Rumors that there are no more good antiques to be found are, as always, dispelled and the cycle of collecting begins anew as an almost unified communal rush of adrenaline flows worldwide – affecting more people than ever due to the influence of the internet. To understand, one need only refer to the recent Paris auction of late fashion designer Yves Saint Laurent’s famed collection. Over 30,000 visitors flocked to the pre-sale exhibit and more than 1,500 people were in attendance each day of the auction. Dealers have historically been an integral part of the collecting process. At Perim Lang Antiques Antiques, we often tell clients that a good antique dealer is 90% collector and 10% merchant. Antique dealers are “old souls” who in an almost mystical way create an environment and interior shop space that draws in admirers and allows each piece to speak in some special way. We often act as educators, historians, decorators, restorers, parents, and sometimes even therapists. But most importantly good antique dealers are never afraid to admit that they are perpetual students. Having allowed my childhood passion for antiques to fuel my 21-year career as an antique dealer, I have experienced and observed quite a bit. There is a seemingly incessant need for some to try to define the latest “trends” in antique collecting. The mere questioning of which antiques will be most popular this season or what innovative ways they will be arranged or photographed in a current home magazine is contrary to the antique’s intrinsic value to society. Antiques are not anonymous entities but speak for people and their times, reflecting mankind’s triumphs – and mistakes – while providing collectors with an opportunity to examine themselves through what they choose to own. I believe antiques are meant to be used and studied and to connect us with the continuum of life. They are not meant to be banished to the corner of a room or hallway like some unruly stepchild, but welcomed fully into our homes as important family members. A truly good room design incorporates elements of the past, and good interior designers know this, as they too are part of this continuum. I once read that, “good design can make history, but history can always make good design.” Antiques will always be here awaiting discovery and in this process they will help you to discover yourself.